RENO, Nev. — December 14, 2018 — Memories last a lifetime and summer camp is at Grizzly Creek Ranch is the perfect setting for fun and making new friends. Register for Summer Camp 2019 and come by our office at 190 East Liberty Street, Reno, to pick up a certificate and a FREE stuffed bear or owl to put under the tree. We have a variety of camp sessions for kids ages 8 to 17. Every camper will have the opportunity to participate in a variety of classic camp activities including swimming at our pool, kayaking on the pond, archery and plenty of arts and crafts. In the evening, campers can hang out by the campfire singing songs and spending time making new friends. Also, campers will test their skills on our challenge course and zip line! Check out sierranevadajourneys.org/camp to learn more about summer camp sessions. While supplies last. Registration and deposit must be made online at sierranevadajourneys.org/camp. The certificate will be ready the following business day for pick up at 190 East Liberty St., Reno, NV. Sorry, we cannot mail or deliver certificates and stuffed animals. Registrations must be made on or before Dec. 20 and certificate and stuffed animal to be picked up no later than 5 pm on Dec. 21, 2018. One certificate and one stuffed animal per registration. RENO, Nev. — November 6, 2018 — Over the weekend of Nov. 9, we’ll be hosting 100 girls, ages 10-to-14-years-old, to take their love of STEM to the next level. This innovative partnership brings industry and nonprofits together creating a jam-packed weekend at Grizzly Creek Ranch. Using Girl Scouts of the Sierra Nevada and Sierra Nevada Journeys’ STEM programming, and Women in Tesla volunteers, this weekend camp is sure to inspire and ignite. More than 30 volunteers will support Sierra Nevada Journeys’ educators in STEM activities ranging from building geodomes to testing their skills on our challenge course. Additionally, thanks to the donation of a 100 robot kits by REC Foundation, Friday evening’s activities will kick off with each camper building a working robot. 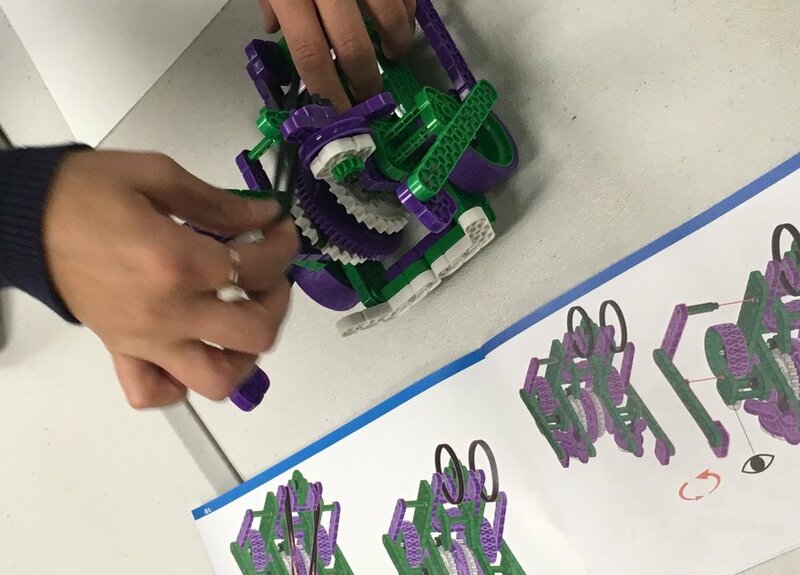 As part of REC’s VEX IQ Curriculum, the young women will follow assembly instructions, build, document their process, and then test the finished robots. Moreover, the Girls in STEM Camp is paid for by a grant awarded by Tesla to Sierra Nevada Journeys, as part of their initial Nevada K-12 Education Investment Fund and there was no cost for the 100 students to attend camp other than a $25 registration processing fee. The investment by Tesla focuses on Nevada K-12 STEM and sustainability education as part of the Nevada DoE Education Gift Fund. RENO, Nev. — October 19, 2018 — Sierra Nevada Journeys announces the appointment of two new board members of its Board of Trustees, Bowen Cardoza and Regina Stanback Stroud, RN, Ed.D. Cardoza of Modesto, California is president of the family-owned Cardoza Corporation and vice president at CoSol Commercial Real Estate where he’s involved in the sales and leasing of industrial and office properties throughout the western United States. He founded and served as chairman of Stanislaus County’s Capital Club, currently the president of Miracle League of Stanislaus County and past chair of Sierra Vista Child & Family Services in Modesto. He has served on a variety of boards including Howard Training Center, Opportunity Stanislaus, and Memorial Hospital Foundation. “Community involvement has always been a part of my life. I feel it’s terribly important to be active in our community whether is philanthropically or being hands on for a specific cause like Sierra Nevada Journeys. I hope to demonstrate the importance of community involvement to my kids, just like my parents did for me,” said Cardoza. Dr. Stroud is president of Skyline College in San Bruno, California and has been an educator in California community colleges for more than 25 years. Under her leadership Skyline College became a National STEMconnector, a consortium of private and public entities committed to increasing the number of STEM-ready works in the global talent pool. Additionally, she serves on the STEM Higher Education Council of STEMconnector as part of the Diversity Committee. Dr. Stroud began as a professor of nursing at then named, Rancho Santiago College of Santa Ana. She went on to become the dean of workforce and economic development at Mission College in Santa Clara and the vice president of instruction at Skyline College. Stroud is highly regarded at local and national levels for her knowledge and perspective on student equity and diversity; education and industry collaboratives; community workforce and economic development; and regional and state system policy implications for successful programs and services. “I look forwarding to bringing my experience on diversity, equity and inclusion to Sierra Nevada Journeys, as they continue to refine their programs to resonate with the highest need youth that they serve,” said Dr. Stroud. “Cardoza’s experience in real estate and operating a deep-rooted history of his family company, will be immensely valuable as we kick off our capital campaign to purchase Grizzly Creek Ranch in Portola, California — located north of Lake Tahoe in the Sierra Nevada mountains,” said Eaton Dunkelberger, CEO of Sierra Nevada Journeys. For additional information about Sierra Nevada Journeys, call 775-355-1688 or visit sierranevadajourneys.org. Here’s a complete list of current 2018/19 board members. This is just a sample of the specifics covered in each category. How does a camp become accredited? First, the camp submits an initial application. The director(s) then attend (or take the online version) a standards course. They review and evaluate each area of camp according to the standards using the ACA’s Accreditation Process Guide. The directors prepare documents and written materials required by the standards. ACA trained visitors then visit the camp for a day during the camp season. They observe camp and work with the directors to determine compliance with the standards. To maintain accreditation, the camp must demonstrate ongoing compliance by submitting an annual narrative report (Annual Accreditation Report) and hosting ACA visitors at least once every five years. Sierra Nevada Journeys' Grizzly Creek Ranch has been accredited since 2011. Our Campus Executive Director, Program Director and Director of Operations diligently maintain this accreditation and use the standards as a means to establish best practices for all our programs. Residential Outdoor Science Instructor...Coolest Job Ever? Micaela Petrini teaches science education as students explore the great outdoors. There are over 20 activities to do independently and over 10 things to do with a group at Grizzly Creek Ranch. NGSS Bootcamp is a residential, 3-day training on Next Generation Science Standards at Grizzly Creek Ranch.